There's no doubt this question has been floating around in everyone's minds all season, but now we are about to have an answer. 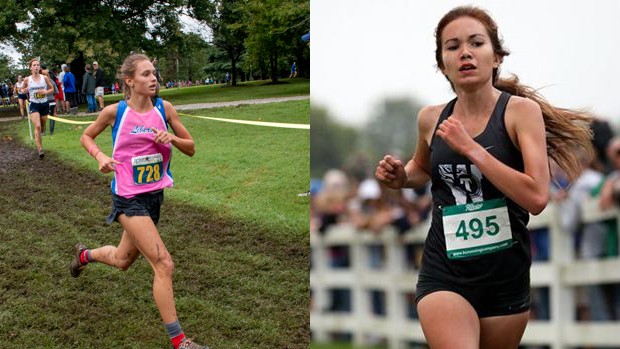 Who would win in a race head to head, Madelynn Hill of Liberty or Ginger Murnieks of Lee's Summit West? Neither have lost to another girl from Missouri this season, but something will have to give this weekend. On paper Murnieks is the favorite, running a season best 17:53 on a fast Nixa course last week and has been sub 18:20 all but her first race this year. Hill comes in with a season best of 18:08 which she ran at Rim Rock, and has ran in the 18:30's the last two weekends albeit on tougher courses with not much competition. Hill does have the advantage of having ran at Oak Hills though, and though that may only be a small factor we've all seen Oak Hills get the best of good runners. I think most people are going to roll with Murnieks on this, but I'm going to against the grain and pick Maddi Hill. Maddi just seems to do whatever it takes to put herself and contention, and I don't think she's gonna back down. Ultimately I think this race is going to come down to that last uphill dash towards the finish. Which Teams Are Bringing Home Trophies? The top 3 teams in the State have gone virtually unchanged since the beginning of the season except for maybe the order. Lee's Summit West has been number 1 all year long, and unless something spectacular (or tragic) happens I don't see anyone beating them. Ray-Pec and West Plains are the closest challengers but the Titans have beaten them everytime they've faced of this season. According to season bests LSW puts all 7 in front Ray Pecs 4 and West Plains 5. With Murnieks up front, and the most balanced 2-5 you'll see they seem to be an unstoppable force. Ray-Pec is just getting healthy and fast and it should pay off for them with another trophy this week. 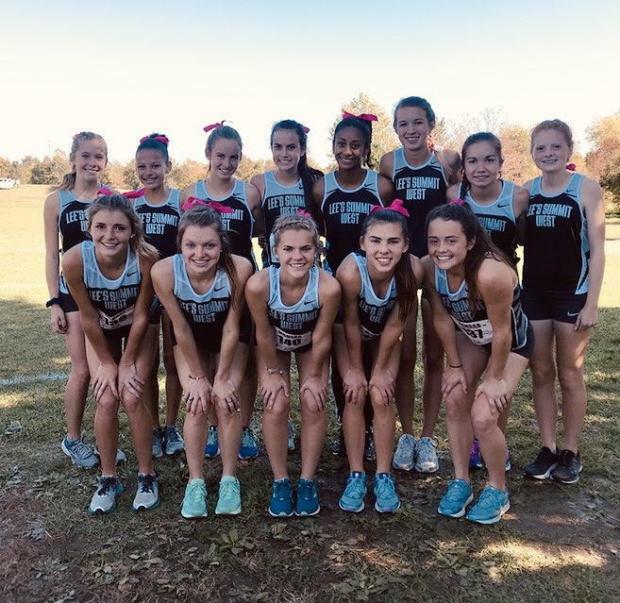 They are ranked third in the virtual meet, but after defeating West Plains this last weekend I think they'll do it again and place 2nd in back to back seasons. I think West Plains will have no problems getting third, though they could challenge Ray-Pec for second. For 4th I think it'll be a battle between Blue Springs South and Parkway West. Parkway West has edge in the virtual meet based on season bests, but Blue Springs South has been more consistent and I think they will be the ones coming away with the 4th place trophy for second straight year. For Full Class 4 Boys Individual Rankings and Team Scores Click Here. For Last Year's Results Click Here. For Photo and Video Coverage from 2017 Click Here.